An accomplished Graphic Designer, Barb followed her heart and the man who would become her husband to western Washington over 22 years ago, never looking back. While relatively new to SAFE, she is no stranger to horses. Barb wanted a horse from the moment she saw one, always hopeful that this dream would come true. While waiting, she rode with friends as often as the opportunity presented itself, most memorably on a paint pony named Bucky. 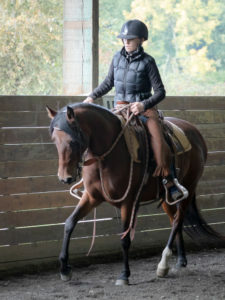 Her first horse was a Quarter Horse/Morgan cross named Bonfire who she had for 20 years. 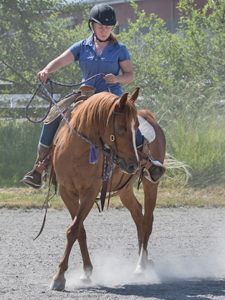 Some months after Bonfire passed, Barb started looking in earnest for a new horse, and found out about SAFE from her neighbor. 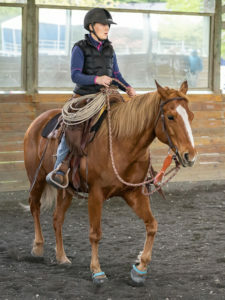 While taking a long look at the website, she found her horse and set the wheels in motion to adopt Kai. In 2015 another horse caught Barb’s eye for very different reasons: Anakin. He garnered a lot of attention because of the desperate condition he was found in, no one was certain that he’d make it. Local news picked up the story which brought attention to SAFE and the great work that they do. It was a long haul to recovery, but Anakin survived and thrived. Barb adopted him in 2016, giving him his forever home. 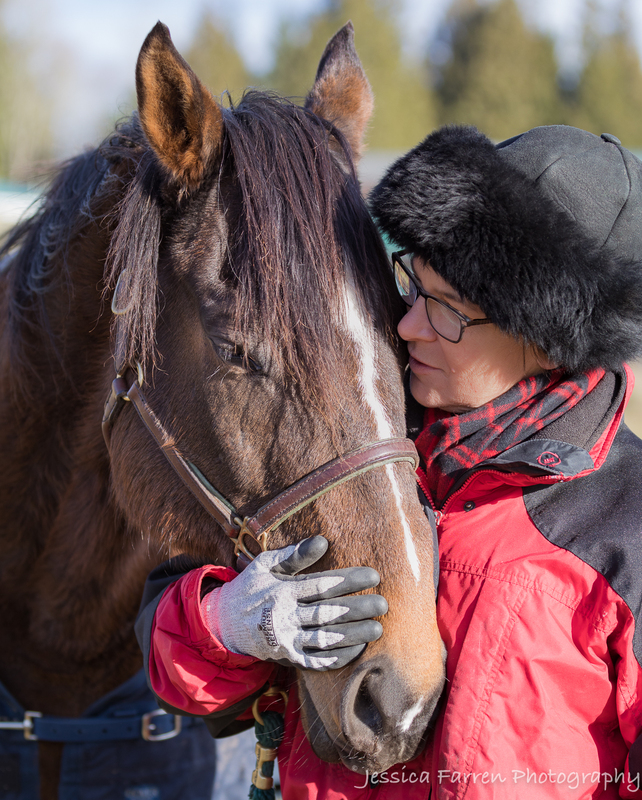 She says it’s a humbling experience to care for a horse that has so much notoriety, and she is forever grateful to the people who helped make his recovery possible.